Iru Fushi Beach & Spa Resort in the Maldives is offering a six-night holiday for two people in a deluxe beach villa on a half-board basis with “dine around” (beverages not included) and return transfers from Malé to the resort. Return economy flights from London are courtesy of travelbag.co.uk. 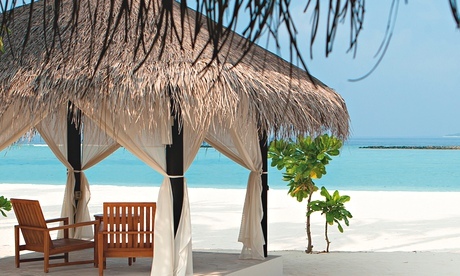 Located in the unspoilt Noonu Atoll, Iru Fushi Beach & Spa Resort is set in 52 acres of beautiful white sand. With 12 elegant forms of accommodation, a stunning infinity pool and many gastronomic options, including the Islander’s Grill, which serves the freshest Maldivian seafood, guests will feel utterly pampered.